﻿ How to rip a DVD and put a DVD movie on iPod? How to rip a DVD and put a DVD movie on iPod? Do you have a ton of DVD movies? You probably want to put DVDs on iPod. After all, DVD movies look really great on the iPod and you can enjoy your DVDs wherever you go. Is there any way to rip a DVD movie and put it onto iTunes/iPod? If you are trying to figure out how to put a DVD onto iPod, here’s the step-by-step instruction that shows you the professional solution to convert DVD to iPod. Assuming you are converting a DVD to your iPod, the first thing you want to do is to rip the DVD to iPod playable MP4 videos. 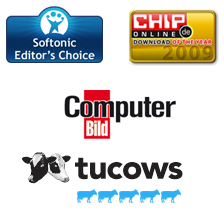 The quickest and simplest tool for accomplishing this task is DVD Ripper. This professional DVD to iPod converter lets you rip DVD to iPod in no time. Download DVD Ripper which is the best DVD to iPod converter. Once you’ve downloaded the program, double click the .exe file to install it. Once you’ve installed the DVD to iPod converter, you may launch the tool. Insert a DVD to your computer and click on Load DVD button to add the inserted DVD to the tool. Also, this DVD to iPod converter can convert DVD Folder or ISO files to iPod besides standard video DVDs. 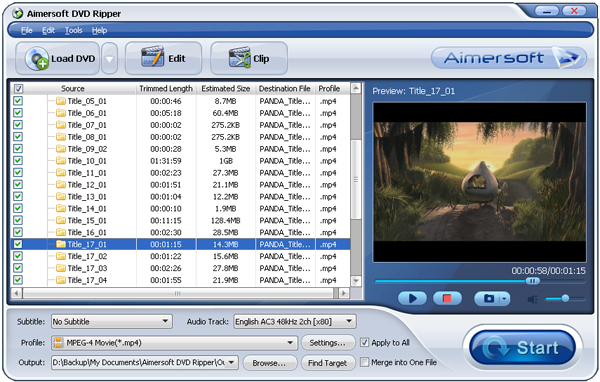 DVD Ripper is an all-in-one DVD ripping software. 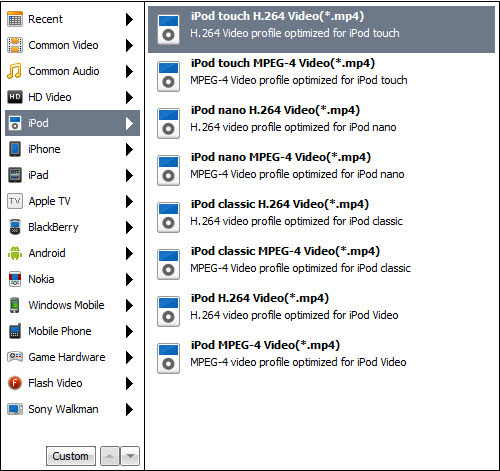 If you want to rip a DVD to iPod, click on Profile button to select iPod Touch/Nano/Classic as the output format. You may select one according to your iPod model, e.g. : iPod Touch H.264 Video (*.mp4). Finally, you may click on Start button to rip DVD to iPod MP4 format. Once the rip process is finished, you may click on Find Target button to locate the converted DVD movies as MP4 format. Connect your iPod to your computer using the cable it came with and open iTunes (Applications > iTunes). Drag and drop the converted DVD file into your iTunes library. Select Sync to your iPod. Once completed, the file should now be on your iPod. So that’s it. The whole process ripping a DVD to iPod is this easy. Now you can enjoy your DVD movies on your iPod wherever you go. 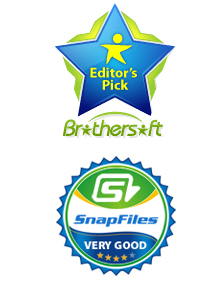 DVD Ripper is also good to use to rip and convert DVD movies to other video/audio formats. How to rip and convert DVD to PSP MP4 easily? How to easily rip copy protected DVD to hard drive? How to rip DVD to YouTube FLV videos easily? How to rip and convert DVD to Zune format easily? How to rip and convert DVD to WMV for editing?